With the support of former Nassau County Legislator Craig Johnson and former County Legislator Wayne Wink, the Greater Port Washington Business Improvement District (BID) was awarded $50,000 in funding for street-scape improvements from the Nassau County Office of Housing and Intergovernmental Affairs through the County’s Community Redevelopment program. Combined with $160,000 raised by the BID through a bond issue in 2002, many physical improvements have been made around the town. This includes all of the brick paving, tree wells, new trees and plantings, pedestrian benches and nautical-themed street signs to name a few. The BID was awarded a grant from New York State to be the licensed program administrator (LPA) for the incorporated Village of Manorhaven for facade and streets-cape improvements of the village’s downtown commercial corridors. The states investment of $85,000 directly stimulated more than a $250,000 in actual shovel-in-the -ground projects, with more being done through private-sector initiatives. Thanks to the NYMS program the revitalization effort the incorporated village needed for its downtown area is well on its way. A key goal of the Greater Port Washington Business Improvement District (BID) is to help make Port Washington’s major shopping districts more visually appealing for consumers. One of our beautification initiative was the completion of Phase I of the Long Island Railroad (LIRR) street-scape improvement project. To enhance the beauty of our LIRR station each spring the BID plants beautiful flowers in the four LIRR tree beds. 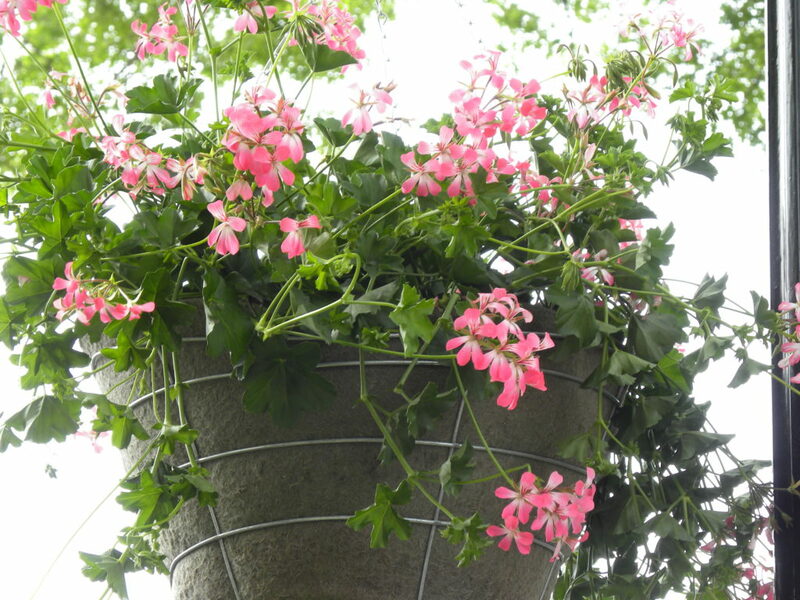 Every May, the BID places 148 beautiful geranium hanging baskets along Port Commons and Main Street. Another BID led enhancement is the installation of 40 benches on sidewalks throughout the district. The BID began installing the benches in March 2004, and all are now in place. 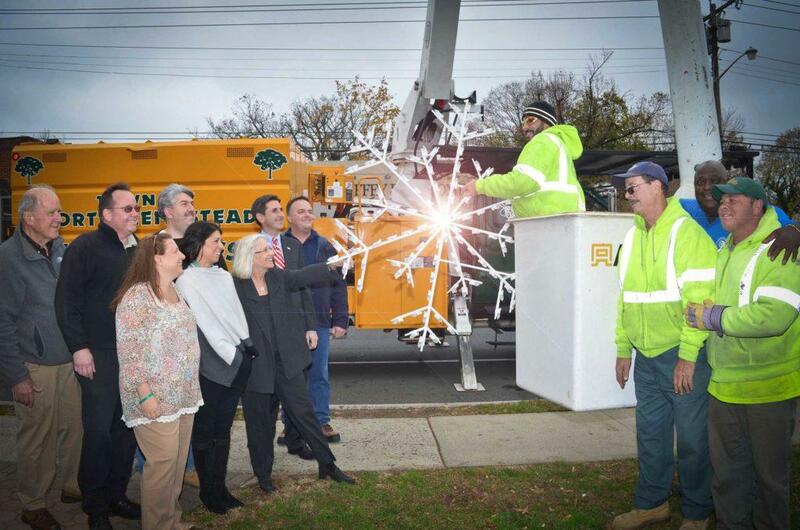 Installation costs were reduced thanks to the special inter-municipal agreement with the Town of North Hempstead, which enabled the BID to use labor from the town’s workforce. The holiday snowflake lights attached to the telephone poles from Thanksgiving to January are another BID contribution to help make Port Washington’s business areas more attractive to residents and visitors. While enjoying the lights or resting on a bench, people are able to check the time by the cast iron, 1890s style clocks. The BID purchased and installed four of these clocks around town. Each fall, the BID places corn stalks on telephone poles and lamp posts around Port Washington to enhance a festive autumn atmosphere. Nautical-themed street signs were sponsored by the BID, adding charm to the commercial streets. A major function of all Business Improvement Districts is to help attract business to the establishments it represents. The BID’s strategy for fulfilling this function consists of five approaches: print advertising, a website, signage, events and collaboration. The BID develops and places full page color advertisements all over the north shore of Long Island to attract visitors and promote Port Washington’s many antiques and collectibles shops. Residents and prospective visitors seeking to know more about Port Washington’s ample commercial, cultural and community offerings have been able to access much of that information through the BID’s website. The BID teamed up with the Chamber of Commerce to launch a website equipped with many more features and improved capabilities. The site is www.pwguide.com and is maintained solely by the Chamber of Commerce. The site includes links to other local websites, a regularly updated calendar of events, restaurant menus, free classified ads, local business listings, and much more. These are simple but effective means of introducing people to Port Washington. The BID has placed a beautiful “Welcome to Port Washington” sign on West Shore Road. “Welcome to Port Washington” sailboat banners are hung along Port Washington Blvd, Main Street, Shore Road, Manorhaven Blvd, the LIRR train station parking lot and town dock. With sailboat illustrations and the words “Settled in 1644.” These signs provide a cheerful welcome while conveying our longstanding nautical heritage. Organized by the Chamber of Commerce, the BID is always one of the major sponsors of Harborfest Dock Day and Craft Festival. As such, BID helps to fund the event, as well as support and promote Harborfest. With activities centered on the town dock and lower Main Street, Harborfest draws up to 20,000 visitors, many of whom come from out of town, generating increased awareness of Port Washington’s shops, restaurants and other businesses. BID also sponsors the trolley that shuttles visitors to and from the event sites and railroad station. Always remember to shop locally as your business directly affects this community and all it has to offer.